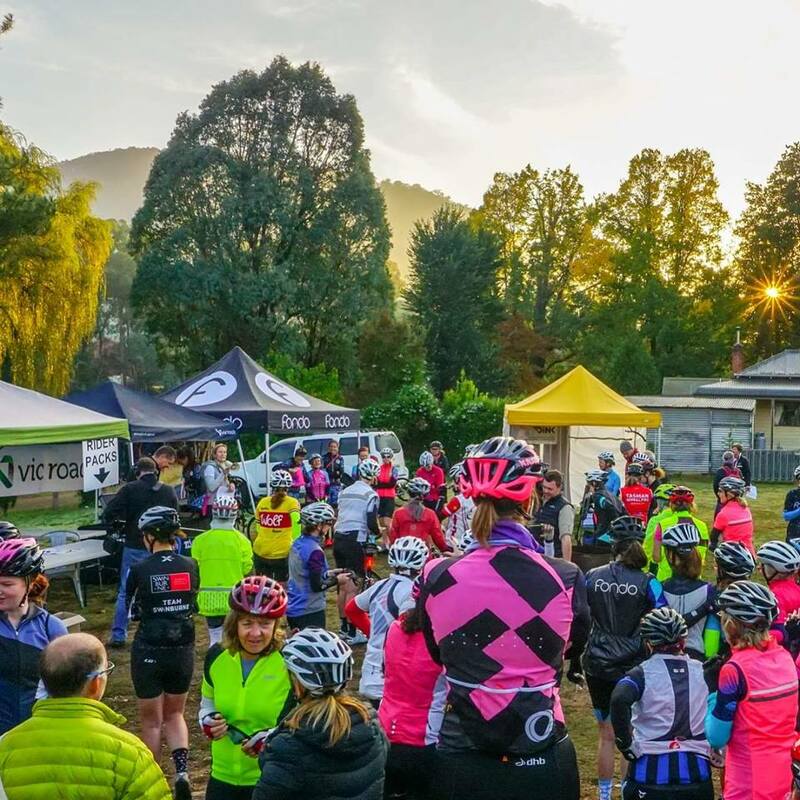 Collect musettes with goodies/ info pack, check out the pop-up stalls & attend the Event Briefing @ 6.30pm - Enjoy a welcome drink, graze on regional produce platters and meet your Ride Leaders. Fri 2 - 4pm, start at Bright Brewery, $10. Come meet Lead Out Cycling's qualified coaches for an on-the-bike climbing and descending skills session. 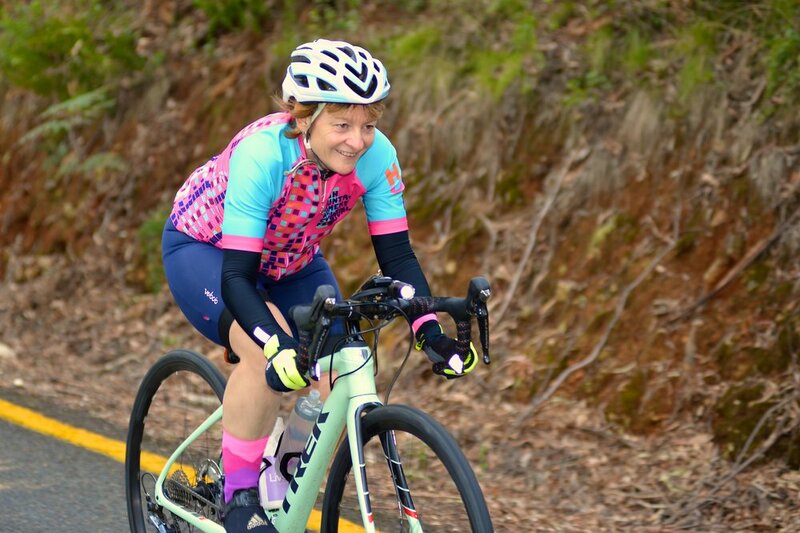 For those looking to build confidence on the bike, the 2-hour clinic will take in local roads around Bright, covering bike handling skills key to enjoying the weekend of riding, including; ascending, descending, cornering & group riding. *Subject to weather conditions & booking is essential. Tickets cost $10 per person - places limited. Sign up here. The Festival Hub is the place to relax, meet new people, share stories & check out the stalls - Fashionista's will love the Fondo, Champion System, Dink Design & Velo Depot pop-ups or enjoy a tasting at Brown Brothers Pop Up. 7:30AM - GRAND DEPART (incl in Festival Pass). Full Buffalo Ride details here. Conquer Mt Buffalo from Bright! We meet at the Brewery to roll out together along the Ovens Valley to the park entry toll-booth, where the true climbing begins to Mt Buffalo chalet. We return via the same route for a total ride distance of 80kms. We will provide ride leaders, traffic management and safety protocols to ensure a safe, exhilarating and enjoyable experience for all riders. We have a halfway turnaround option for those after a shorter ride. The ambience will be social and supportive for this challenging ride - a great opportunity for those new to climbing in the mountains to give it a go amongst friends! 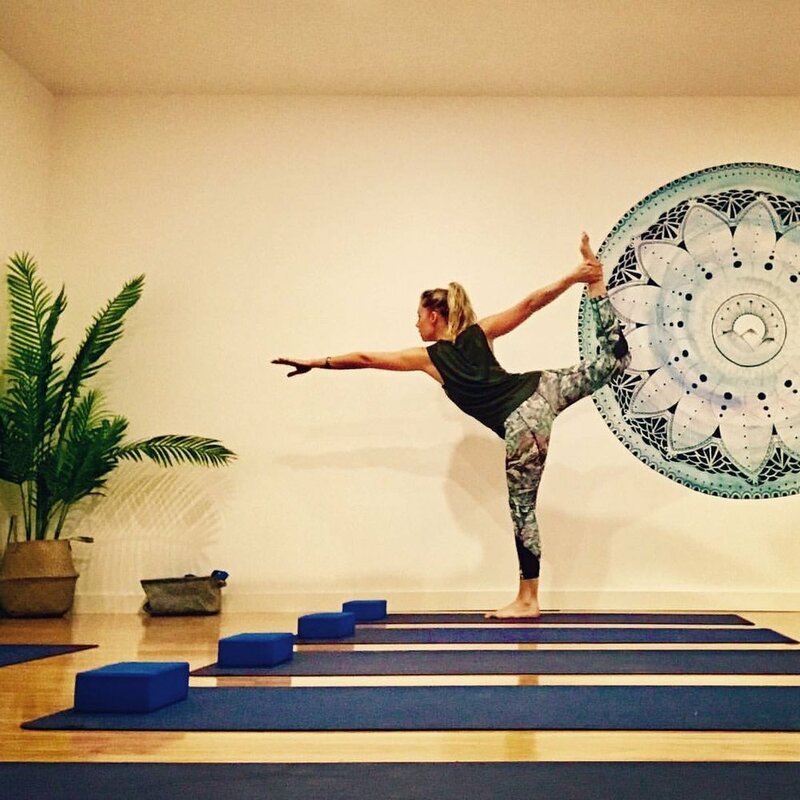 Stretch out, unwind & relax - sign up for Yoga on Saturday afternoon online here. Get your apres velo fashion on and kick back at Bright Brewery with a local produce inspired 2-course share-platter dinner, as glass of Brown Brothers wine and enjoy some ‘bike yarns’ from guest speakers. Book your dinner ticket here - places limited to 100. Join the Fondo women’s team for a post-ride coffee while soaking up the glorious views at the top of Falls Creek. 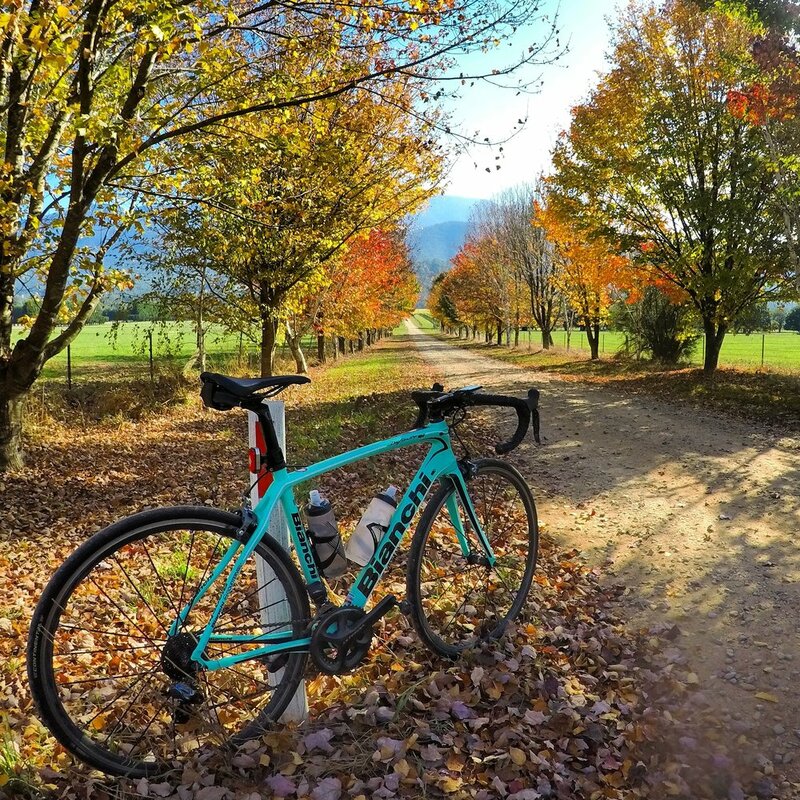 The 30km climb from Mount Beauty is one of the longest and most beautiful in the High Country. Places are limited, book your spot now! Explore, bag another one of the #7PeaksRide Climbs... the day is yours to join one of the Ancillary Events or just go for a ride with friends - old and new! Cost: $50 per person (discounted for HCWCF participants) which includes a guided cycle tour, coffee, morning tea and produce tastings! Full details here. After a relaxing recovery ride to explore the delights of the region? Join local cyclist Laura Rigby as she takes you on a foodies tour along the rail trail. Enjoy seasonal produce, tastings, meet the farmers, winemakers, & producers & learn about living a more sustainable lifestyle. You may even get to pick your own chestnuts! Email followmywheel@gmail.com for further info & bookings. Access to Festival Hub and Expo including stalls, fashion and other pop ups. Rider Pack - HCWCF musette & ride goodies including a Winners Sports Nutrition Bar. HCWCF Celebration Dinner $40 extra - see details below in Festival Program. If you want more info about the Festival, get in touch.